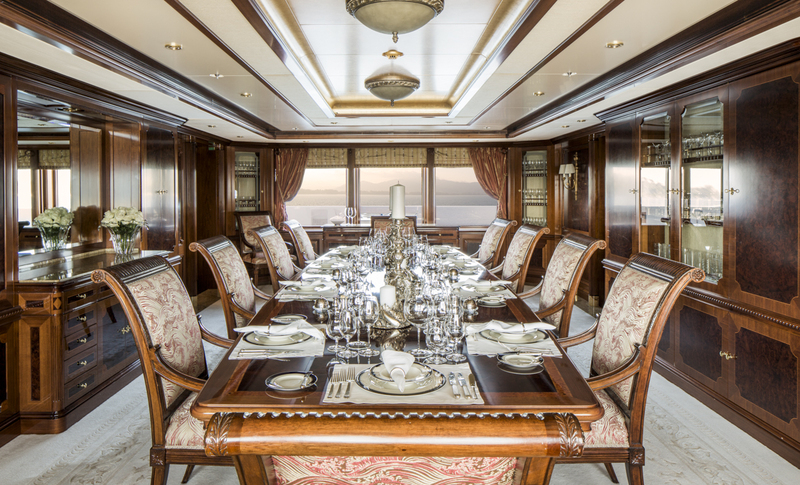 We only have introduced yachts for sale this summer but there is a yacht available for charters to live unforgettable moments on Mediterranean Sea during the summer and with all your family. 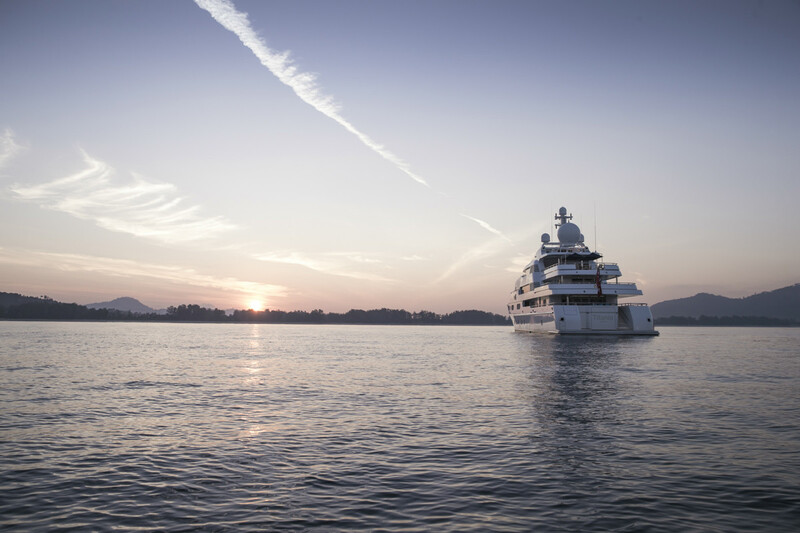 Titania by Lürssen is not only giant but also the perfect yacht to experience amazing adventures on the sea. 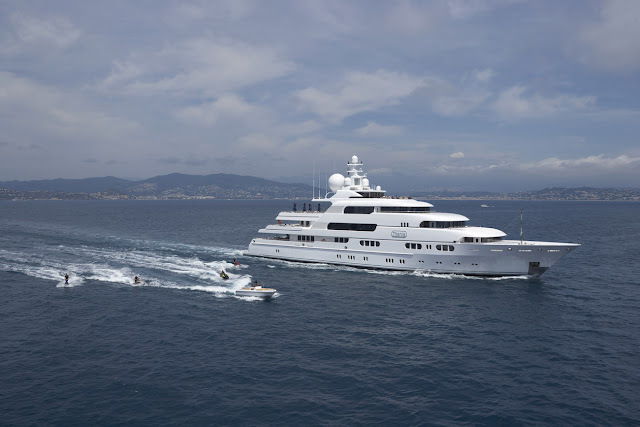 Truly impressive, this 73m-long yacht represents all you can possibly wish for while cruising on a luxury yacht. 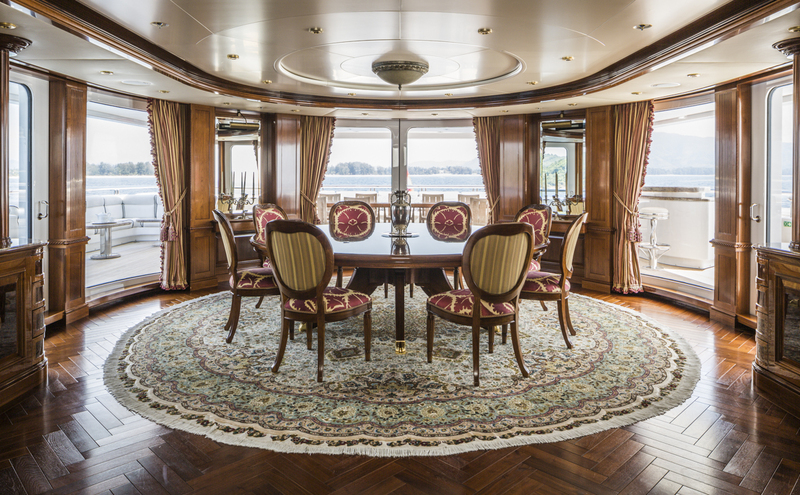 Maybe one of the most luxurious in the world, Titania by Lürssen was built in 2006 before being totally renovated in 2012. 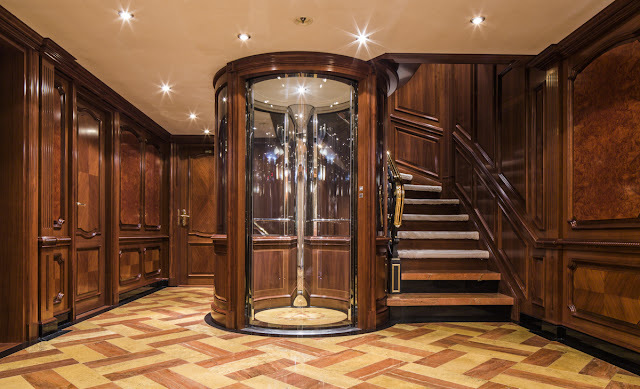 The point was to create an interior/exterior space that would be both luminous and entertaining. 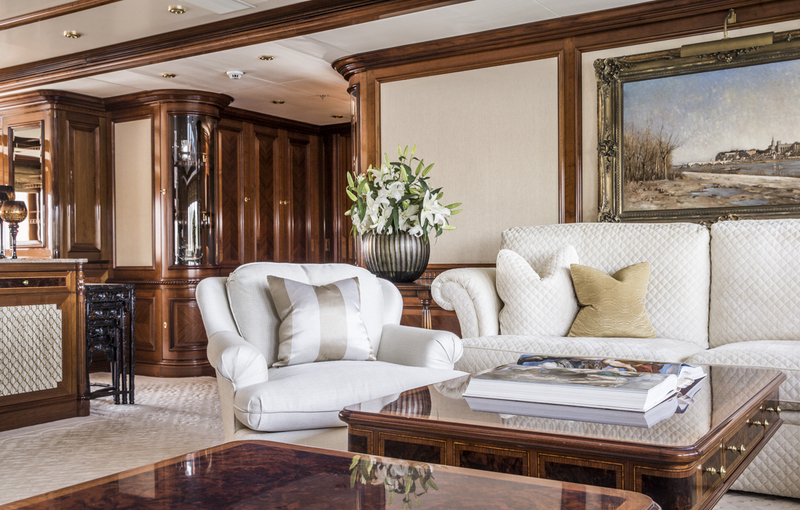 Inside Titania by Lürssen everything was redesigned by Francois Zuretti and now offers large and bright open spaces that let the light flooding inside the rooms. 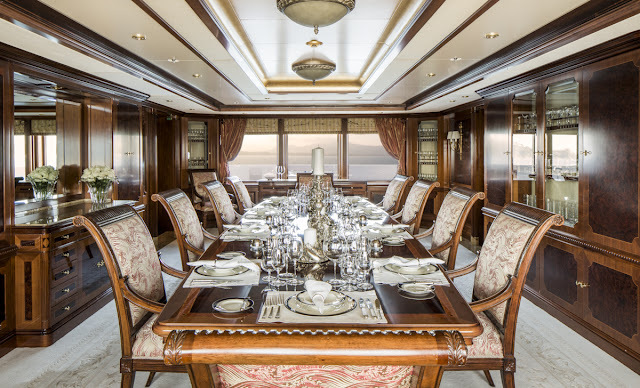 Then the luxurious living room is equipped with a piano, a bar and an impressive dining table that sits 14 persons who will all be comfortably settled at night in seven luxurious cabins. 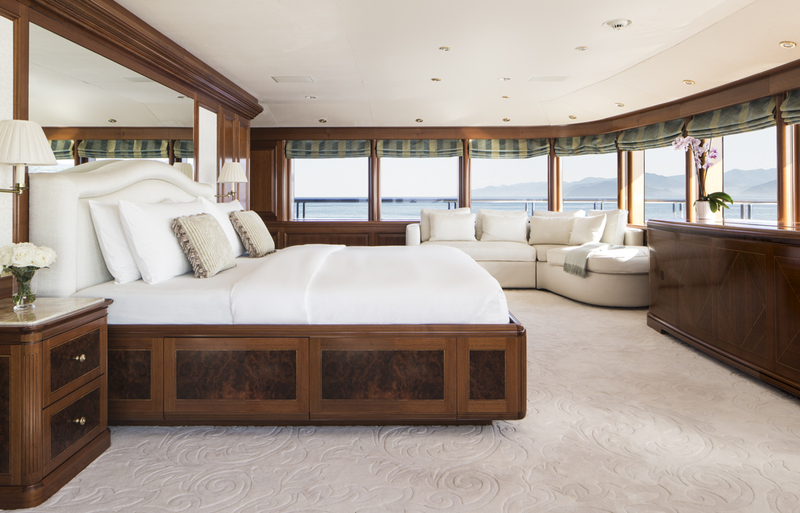 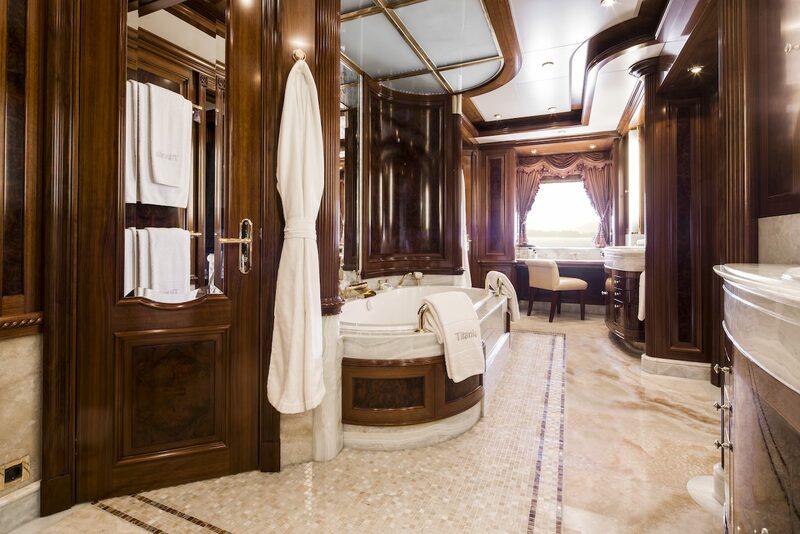 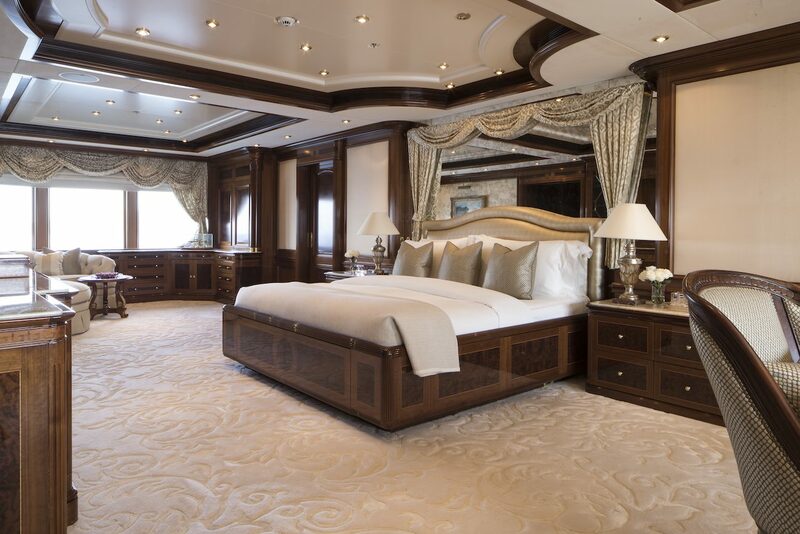 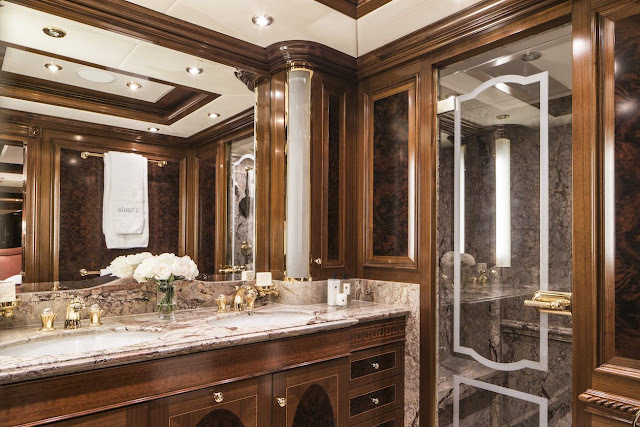 Then aboard Titania by Lürssen you can find two master suites, a VIP cabin as well as four double cabins all with their own marble bathroom and all state-of-the-art technologies you can possibly wish for. Height of luxury, you can also find a private elevator that will help you navigate through the different decks. But we are sure that outdoor spaces will please you all the same. 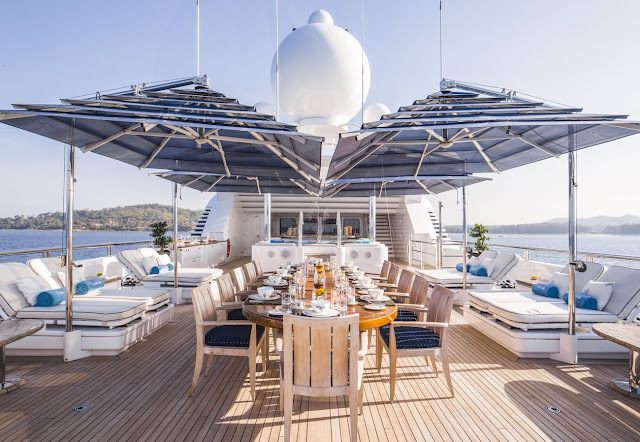 Inside Titania by Lürssen you will find plenty of relaxation and entertaining spaces, but outside you will find even more remarkable amenities. 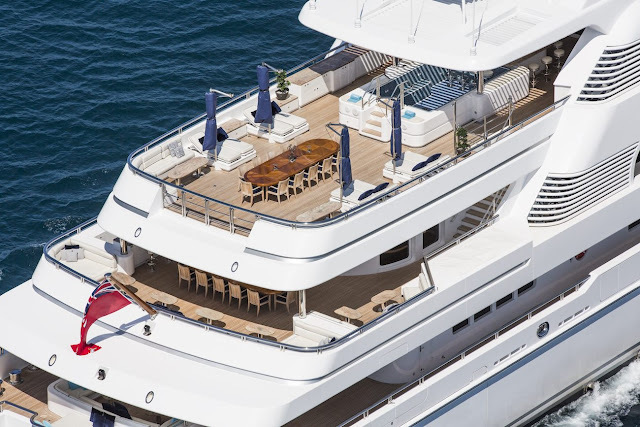 With the new 3.8m extensions the yacht now possesses its own Beach Club with a sauna, bar and large sofas and the space can be transformed at night into a nightclub! 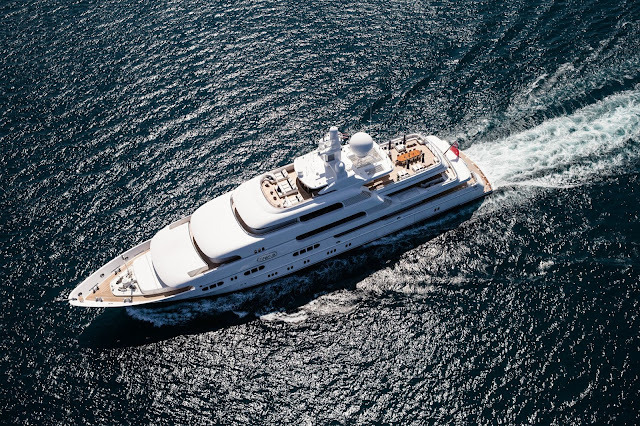 Far from being the last cool equipment, you can also find aboard Titania by Lürssen a waterpark to fully enjoy Mediterranean hot waters with all your family: diving platform, water slides, trampolines and climbing platform are all available in this area! 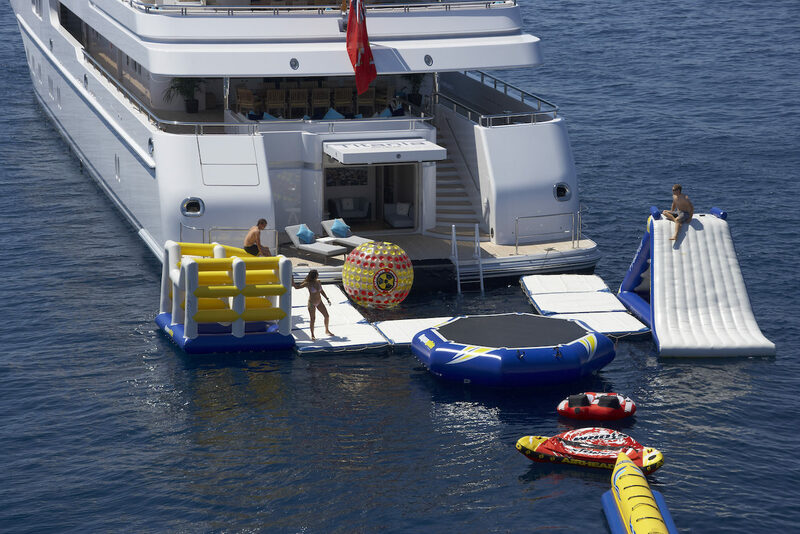 Here you will also find all water toys that will be necessary to your water excursions: jest skis (with two professionnals on board that will help you pass your license if you wish so), kayaks, paddleboards, snorkelling equipment, wakeboards, waterskiis…possibilities are unlimited! And speaking of Titania by Lürssen’s staff you will find among the 20 crew members therapists that will take care of you and help you to relax at the yacht’s spa, but also beauty and hair professionals and even a coach who will guide you through the amazing gym. So you can navigate in a total luxury thanks to Titania by Lürssen but only on Mediterranean Seas during summer and paying 600.000€/week! 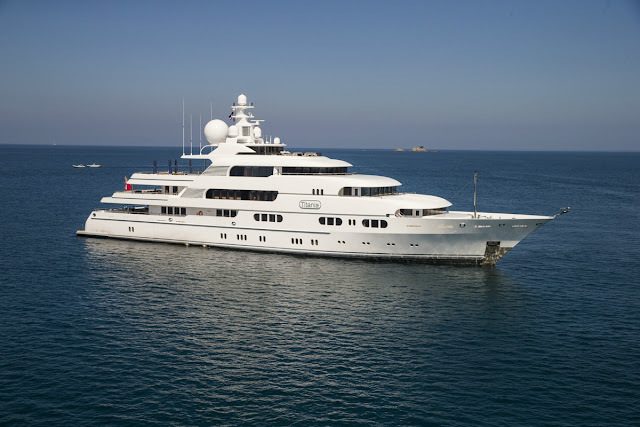 Or you can try Asia’s waters during winter!